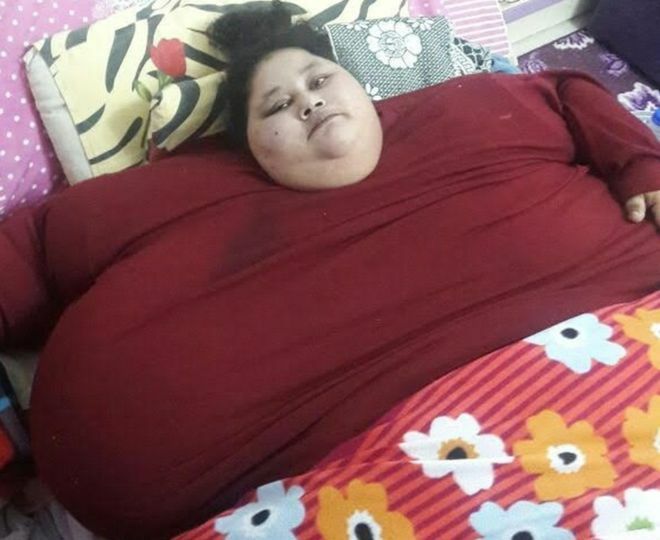 Eman Abdul Atti, who was once known as the “world’s heaviest woman” has passed away at the age of 35. According to medical experts at Burjeel Hospital, Eman passed away on Monday, September 25, at 4:35am due to complications from the underlying comorbid conditions, including heart disease and kidney dysfunction. The Egyptian had been under the supervision of over 20 doctors from different specialities, who were managing her medical condition from the time she arrived in the UAE. Abdul who was considered to be the heaviest living woman in the world and the second heaviest woman in history after Carol Yager had earlier done a bariatric surgery in February 2017. She lost about 325 kilograms (715 pounds) after undergoing weight-loss treatment in India before heading for another treatment in UAE.